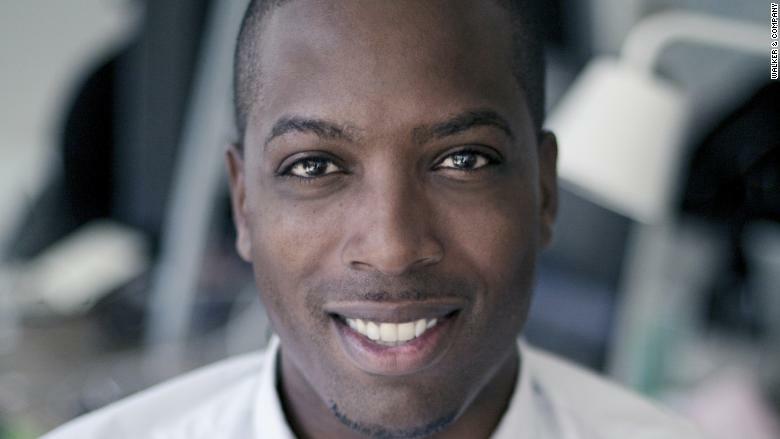 Tristan Walker spent most of his life struggling to find shaving products that worked for his hair and skin. That experience motivated the rising Silicon Valley entrepreneur to launch Walker & Co., a beauty line designed with people of color in mind. Walker, who grew up in New York City's South Jamaica housing projects, hopes his company will inspire the mainstream beauty industry to become more inclusive, and ultimately eradicate the segregated beauty aisles that are still common at drugstores. When we last checked in with Walker in 2015, he was a sleep-deprived father of a 14-week-old. His two-year old company was selling men's shaving products under its brand, Bevel, through a subscription delivery service. Last year, Walker & Co. launched its product line for women called Form. Before founding the company, Walker made a name for himself as one of the few men of color to rise through the ranks in Silicon Valley. He was an entrepreneur-in-residence at revered venture capital firm Andreessen Horowitz. Prior to that, he had been the director of business development at Foursquare, where he helped build partnerships with major brands, including Bravo, MTV, CNN and the NBA. 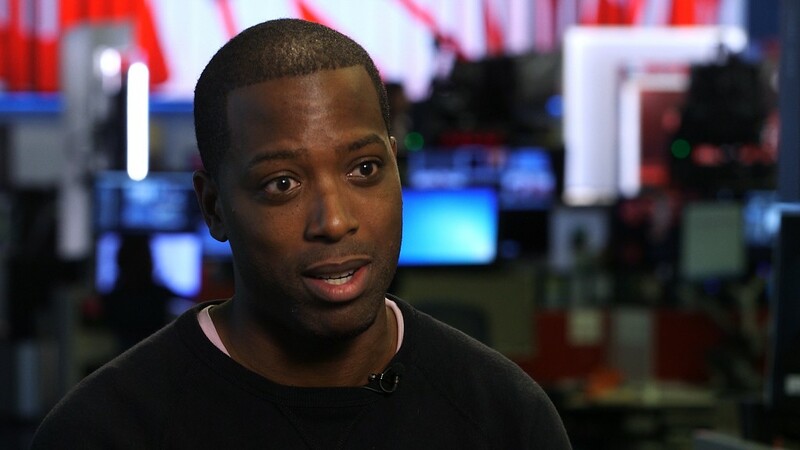 Walker, who is now 33, hopes to bring more diversity to Silicon Valley. In 2012, he founded Code2040, which seeks to create more access and opportunities for young people of color in tech. CNNMoney asked Walker about the challenges of running his own business and what advice he would give aspiring entrepreneurs. 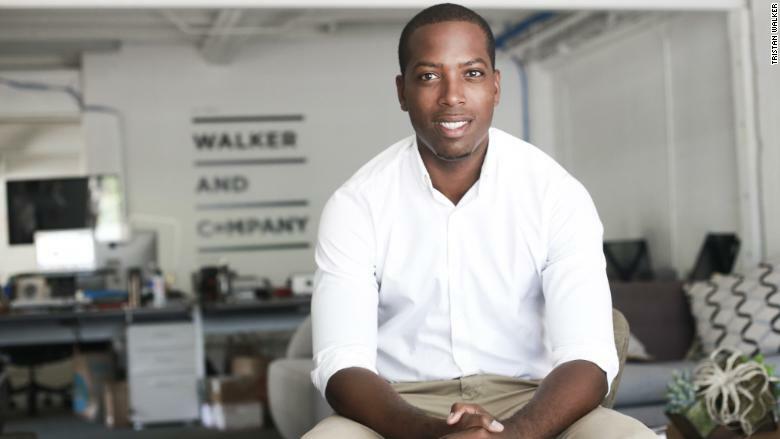 Tristan Walker is the founder and CEO of Walker & Company. Came from not having products that were efficacious for my skin or hair type. I grew incredibly frustrated that mass market, billion-dollar companies were neglecting a demographic group that needs products. That second-class citizen experience of having to shop in an "ethnic" beauty aisle, which is really the small shelf that's right next to the official beauty isle, was just an incredibly frustrating experience -- especially considering how culturally influential folks of color are in this country and how much money they spend on health and beauty products. We just deserve better products overall. Not being able to fulfill the vision we set out for this company from the very beginning. We want to build something that still exists 150 years from now. It's important that we have the patience to do so. If there's anything that scares me, it's that we'll get impatient by our own frustration that things aren't changing in the industry as quickly as we'd like them to. 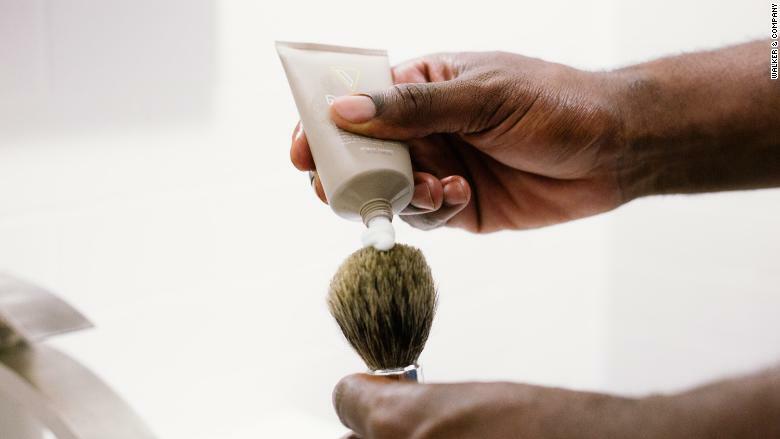 Walker & Company's first brand, Bevel, caters to the shaving needs of men of color. I'd share a bit of advice I've gotten that's really sustained me for the past seven years. Tyler Perry told me once that the trials you go through and the blessings you receive are the exact same thing. What he meant was that those trials are really lessons you can learn from. Those lessons and learnings are blessings. My son and my wife, of course. It's hard to choose one ... I'd say Jesus, Abraham Lincoln and Malcom X. My faith is the most important thing in my entire life. The things that maintain order for me are my faith, my family and my work, in that order. When it comes to Lincoln -- here's a man who had less than a year of schooling and became one of the world's greatest writers and orators. He moved humanity forward in a positive direction just through his own will and determination. Tristn Walker wants his company to make shopping for beauty products simple for people of color. Malcom X had such foresight into the racial problems that are challenging this country. He's a guy who went through a lot, and had the courage to stick to what he believed to be right for his community at a time when many folks were fearful. I think he's been dealt a false set of goods in the narrative about him, but I think if people actually read his biography and really understand what he's about, they'd completely change their opinion of him. Every single thing I'm doing is really in line with one of the greatest movements of my lifetime: The demographic shift happening in the country. It's very important to me that people of color --- a community that will ultimately make up the majority of this country and have the greatest cultural influence on the planet -- also be the best-producing demographic on the planet. I think that is the biggest economic opportunity of my lifetime, whether it be for-profit or not-for-profit. I want every single thing I do to help inspire that goal and achieve it. So, when folks look back 100 years from now, I hope our legacy will be that we showed folks that they deserve to be treated like first-class citizen consumers. And when they are producing at the highest level, they're building things that can push humanity forward. I am obsessed with books. I'm actually building a library for my son. You don't have to search too far. All too often, people try to work on or do the things that they think would make other folks happy and proud. I advise folks to focus on the one thing that they think they'd be the best person in the world to work on. For me, it was those experiences of walking down that "ethnic" aisle and not having brands speak to me in the right way that made me realize I had an opportunity to actually build and raise money to change this in a way that no one else could.